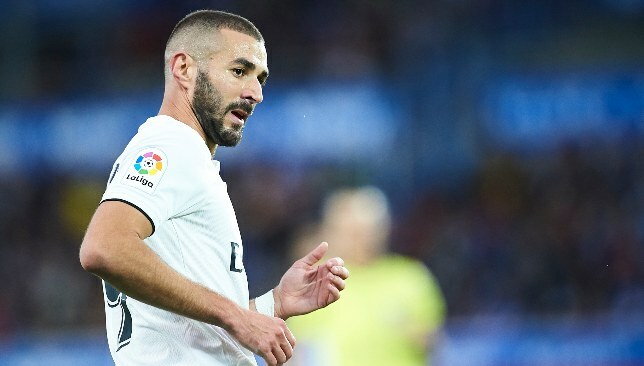 Real Madrid president Florentino Perez claims Karim Benzema is the best forward in the world and has dismissed rumours that Los Blancos are after a striker. Eden Hazard, Roberto Lewandowski and Luca Jovic are some of the attackers who have been linked with the Spanish giants. But Perez made it clear that they have the best squad in the world and signings are unnecessary. “I insist that we have the best squad in the world and the titles back us up on that,” he told France Football, according to Marca. Gareth Bale scored his 100th Real Madrid goal on Saturday. 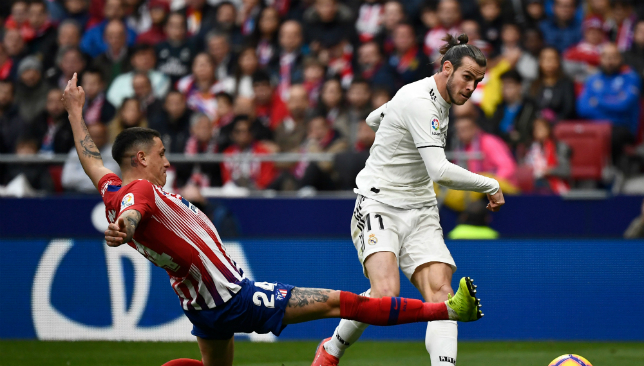 Real Madrid manager Santiago Solari hailed Gareth Bale for coming on and killing off Saturday’s derby win over Atletico Madrid. The Welshman was left on the bench as Lucas Vazquez and Vinicius Junior were preferred in the attacking positions alongside striker Karim Benzema, but after coming on for Vinicius in the second half with the score at 2-1, he scored a well-taken goal to extend Real’s lead and kill off Atletico’s hopes of salvaging something from this game. 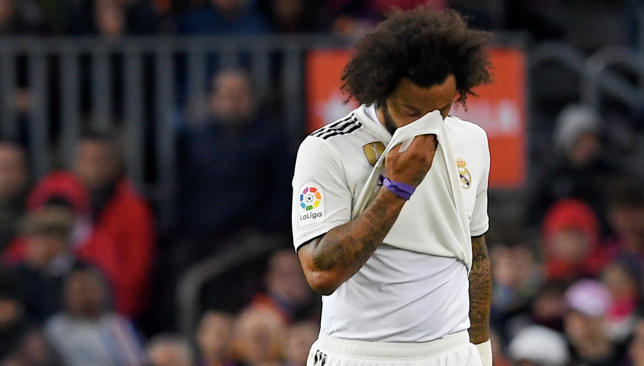 It was a crucial moment in the season for both club and player, with the result allowing Madrid to leapfrog their city rivals into second place in La Liga, just five points behind leaders Barcelona – though the Catalans can extend that lead on Sunday when they face Athletic Bilbao. Bale has been one of Madrid’s best players this season when fit, shining in the absence of Cristiano Ronaldo, but the injury issues that have plagued his career in the Spanish capital have persisted this season. Saturday’s goal was his ninth of the season, but he’s also missed 11 games for Madrid in this campaign. The goal was also Bale’s 100th for Los Blancos since joining in 2013, and Solari chose to dwell on the positives as the 29-year-old continued his habit of making decisive contributions in big games. “He walked into the locker room very well and he was very happy with his goal,” Solari said during his post-game news conference, as reported by Goal.